Ever wonder how to transfer songs from iPod to computer? Here's how to do it within 4 easy steps. Step1: Click here to download iCopyExpert. Step3: Connect your iPod to computer. 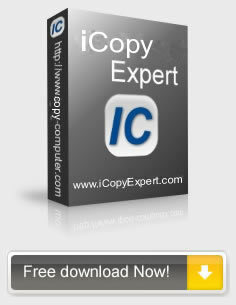 iCopyExpert is specially designed for people who own an iPod. It can help you easily transfer music from iPod to computer. 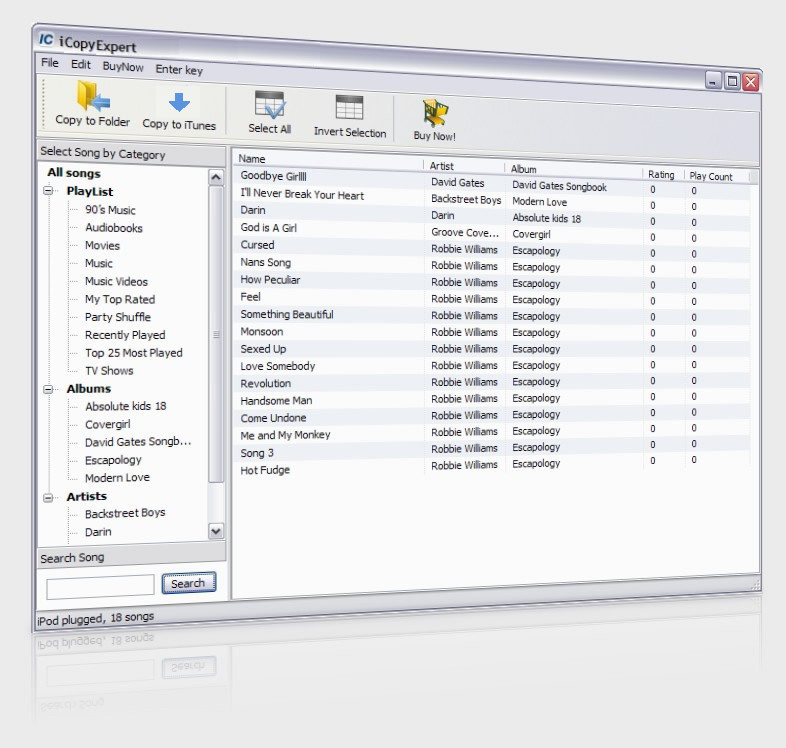 Transfer music and videos from iPod to any folder on your PC. Support all types of iPod. Songs arranged by artist, album and playlists, locate the songs you want to transfer easily. Risk-free: You will never lose any iPod music. Step 4. Well done. Your songs, playlists, ratings and play count will be transfered to computer or imported into iTunes.